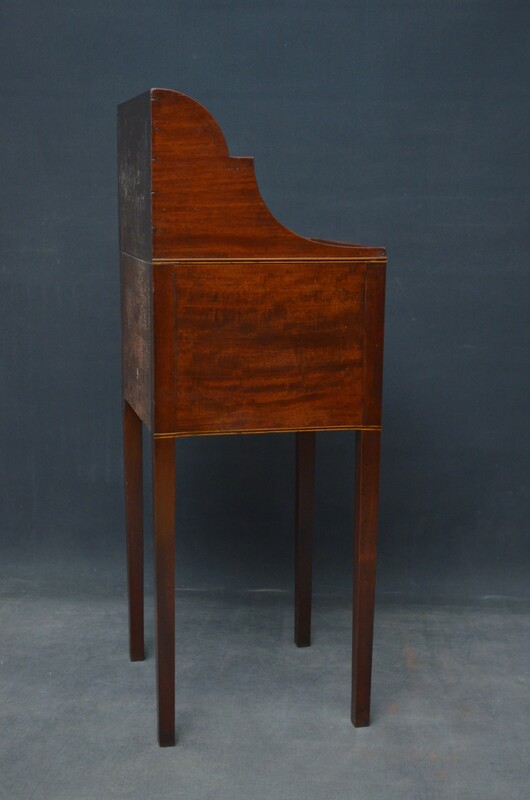 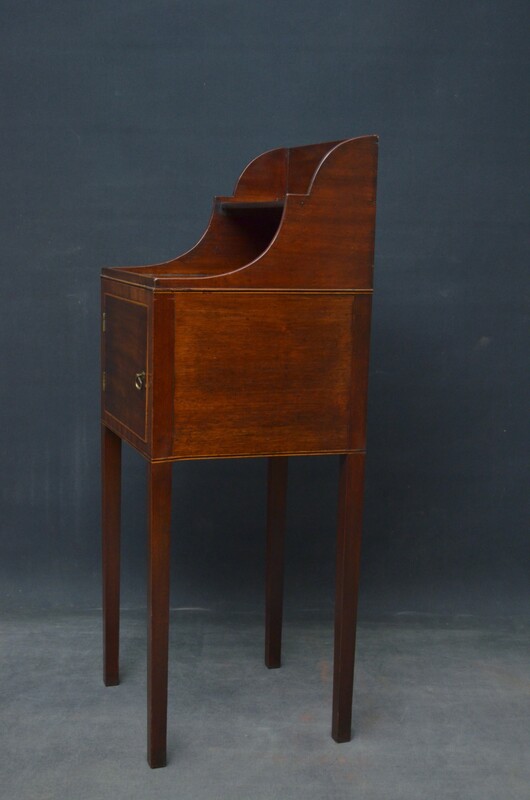 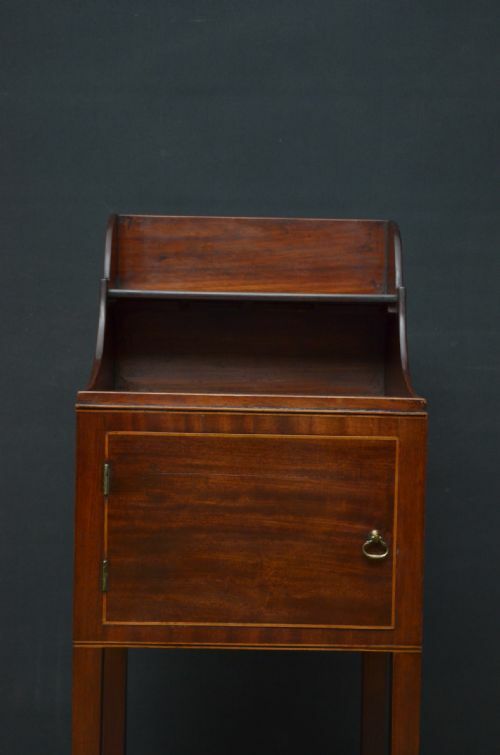 Sn4564 George III mahogany pot cupboard with shaped upstand and a shelf to top and string inlaid cupboard door fitted with brass handles, all standing on substantial square legs. We stock over 600 items of antique furniture, clocks and barometers in our showrooms including antique wardrobes, bookcases, dining tables and chairs, chest of drawers, chiffoniers and occasional tables. 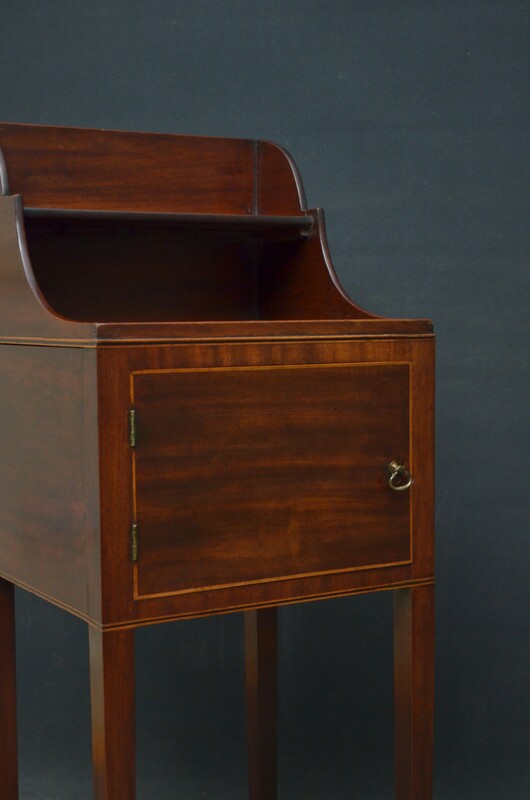 All our furniture has been restored in our workshop to high standard using traditional methods and is ready to place in your home. 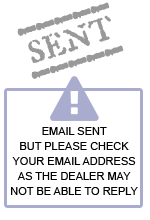 All deliveries can be arranged. 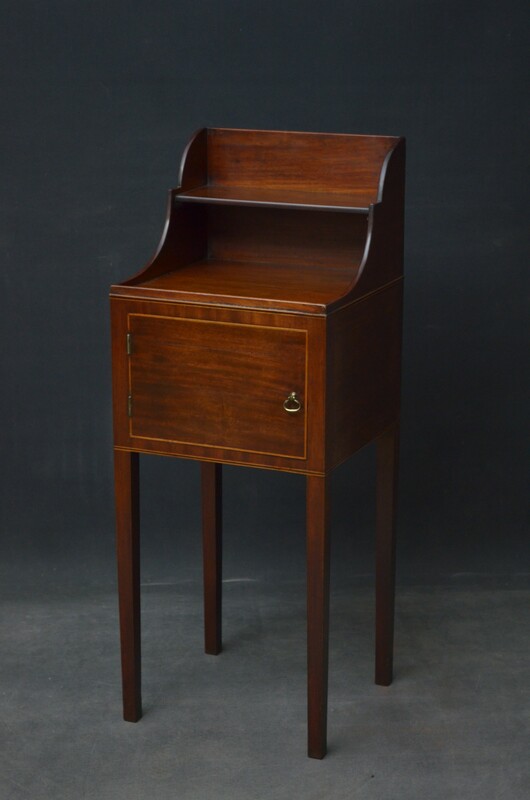 We offer a wide, high quality range of antique furniture all of which are restored to the highest standard in our own workshops. 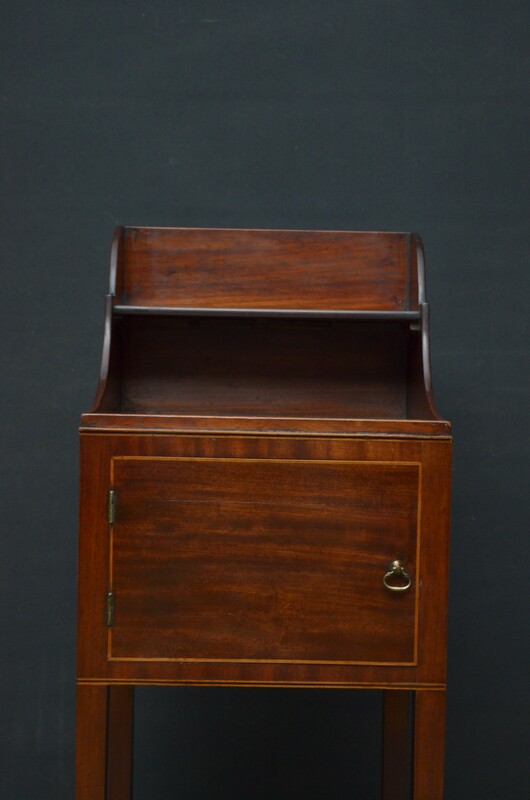 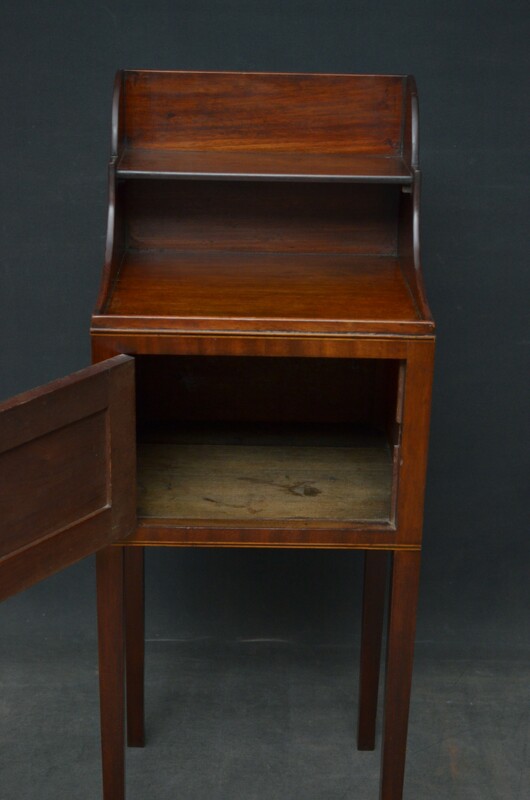 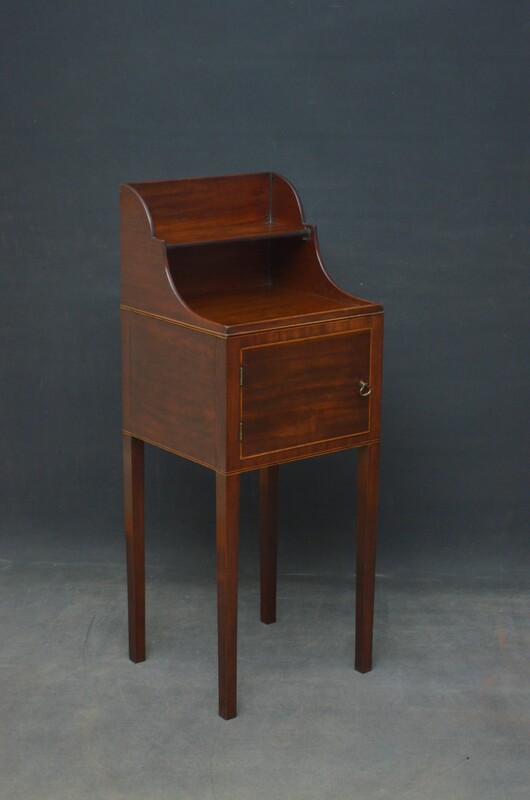 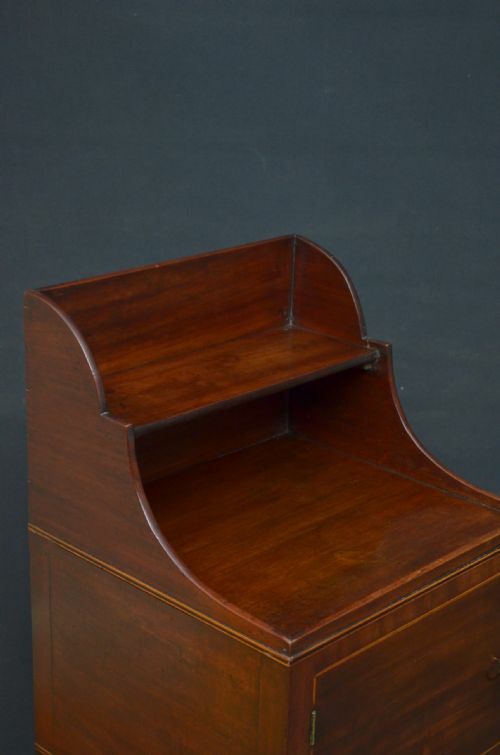 The Georgian Mahogany Bedside Cabinet has been added to your saved items.